Analog Artist Digital World: The Whale surfaces at the Winter Garden Theater. 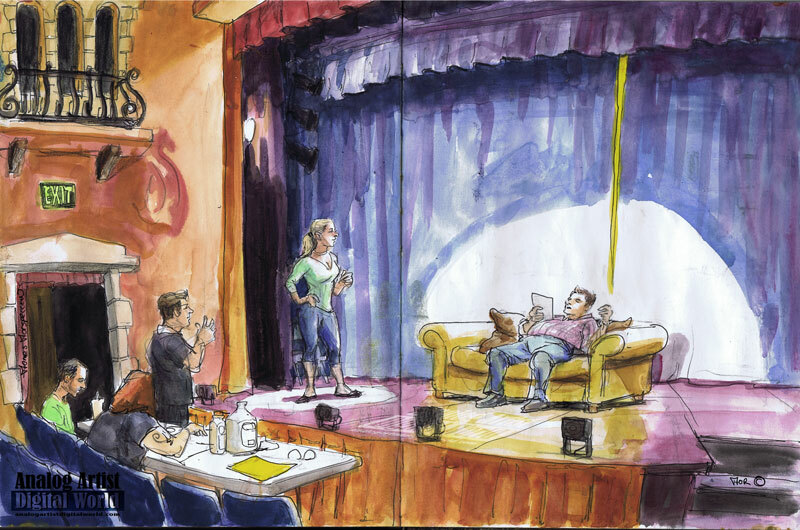 On June 22, 2015, I went to the Winter Garden Theater (160 W Plant St, Winter Garden, FL) to sketch auditions for "The Whale." March 18th will be the Central Florida Regional Premiere of this play written by Samuel D. Hunter and staged by Beth Marshal Presents. I love sketching auditions, I get to witness so many talented actors that all bring their own creative take to the characters. This isn't a story about a great white whale, but instead an intimate look at a father daughter relationship. Elder Thomas – Anthony Pyatt Jr.
Special pricing for opening night, Thursday performances, seniors and students. This show contains adult language and scenes. Recommended for mature audiences.